Want to do more to support CURE? 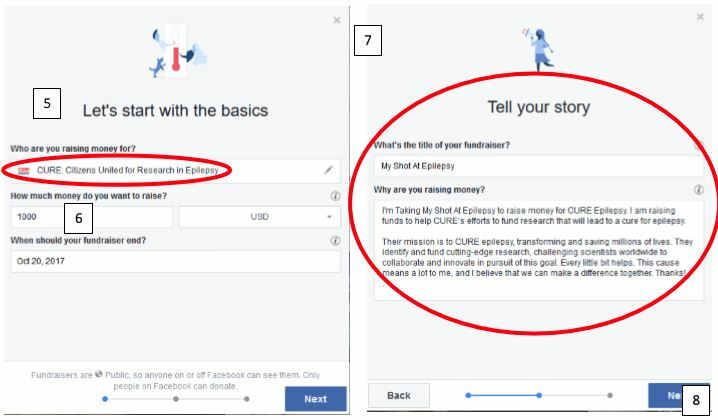 Raise funds for a cure through Facebook Fundraising! Click here to get started or read on for detailed instructions. All proceeds from the campaign will be used to fund epilepsy research. This is a great opportunity to mobilize your network to raise funds for a cure. Go to the Facebook app. Click the three lines in either the bottom right corner (iPhone) or top right corner (Android). Set a goal amount and end date. Are you willing to raise $250, $500, or $1,000? Remember! Every dollar raised will support epilepsy research. Add your title and a description about why you’re fighting to fund epilepsy research. To get started, press Next, then Create! 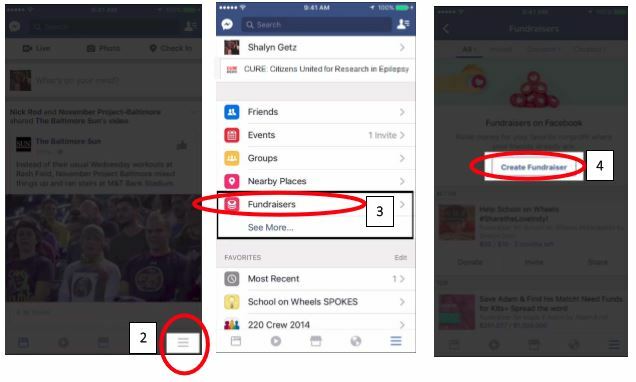 Press “Invite Friends” to invite your Facebook friends to donate to your campaign. When you invite friends, they will receive a notification about your fundraiser. Click “Share Fundraiser” to share your Fundraiser as a post on your own timeline. This way, your friends with can see it, know you’re supporting CURE, and have the opportunity to donate to your fundraiser. You can also write messages about the campaign and send your fundraiser to each of your friends via private messages on Facebook messenger. From your computer, you can send email invitations to your contacts to invite them to donate – but only those with Facebook accounts can donate via Facebook. If you have someone who is interested in making a donation who isn’t on Facebook, please direct them to our website to donate. As donations come in for your fundraiser, you’ll receive notifications about who has donated and their contribution amount. 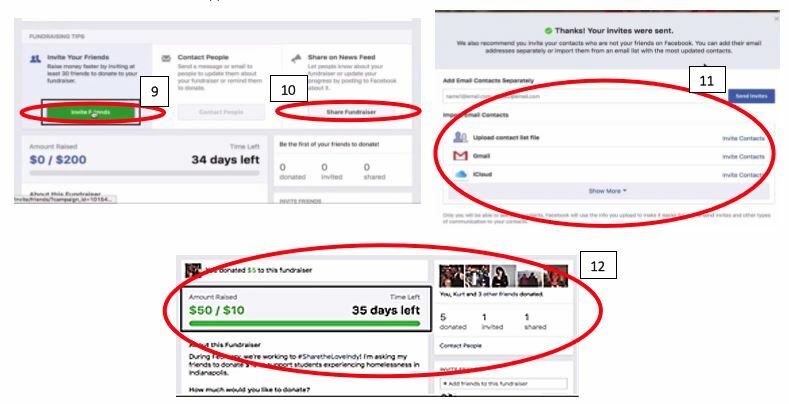 Only you can see how much each of your friends and family members has contributed, but everyone will receive updates of how great your fundraiser is doing!